Gas lift height adjustment allows user to choose preferred seating height. Hard-wearing polyurethane back and seat offers low maintenance, wipe clean chair. Chrome footrest offers further comfort option. 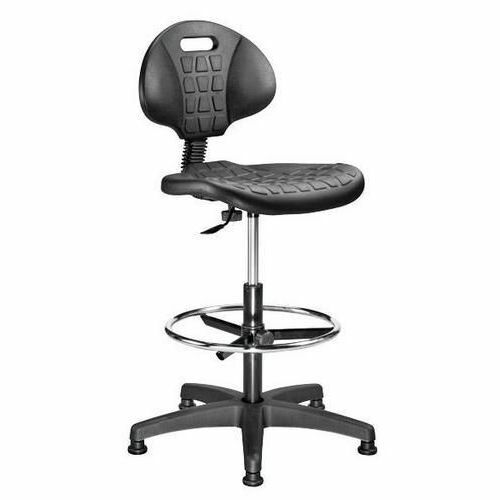 Backrest height can be independently adjusted to further accommodate each individual user. Product recommended to be used with glides. Suitable for users up to 15 stone weight capacity limit. Fully adjustable polyurethane draughtsman chair.